A longer ride was overdue. I can’t remember my last ride over the 100k milestone. Rides in the 30 – 50 mile range are fairly normal, but I’d like to get past the 100 mile mark at least a couple of times this season. Today’s target was 100k, and it was plenty challenging. I could have chosen an easier route. Located north and west of my house, it included more climbing than my local roads. 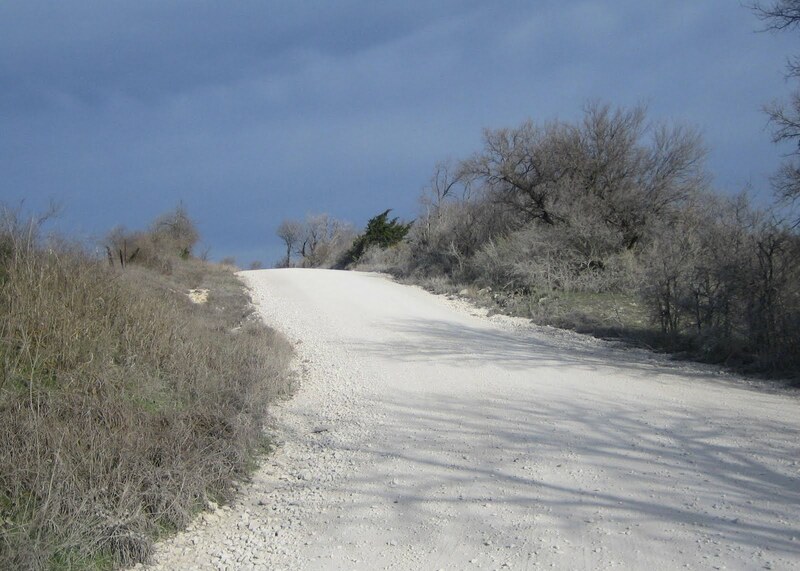 Similar to my local routes, however, more than half the miles were on gravel. 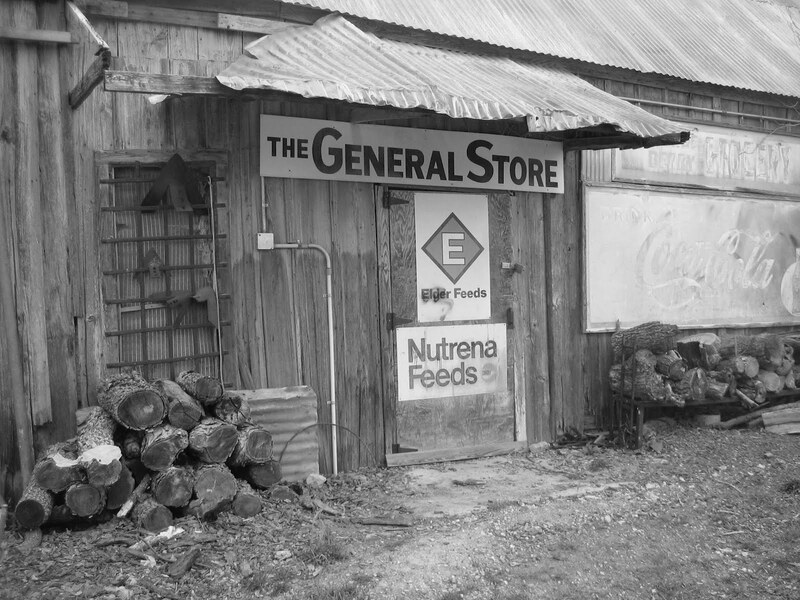 My favorite rest stop is probably the Rosston General Store. It is always good to include that in a loop route. 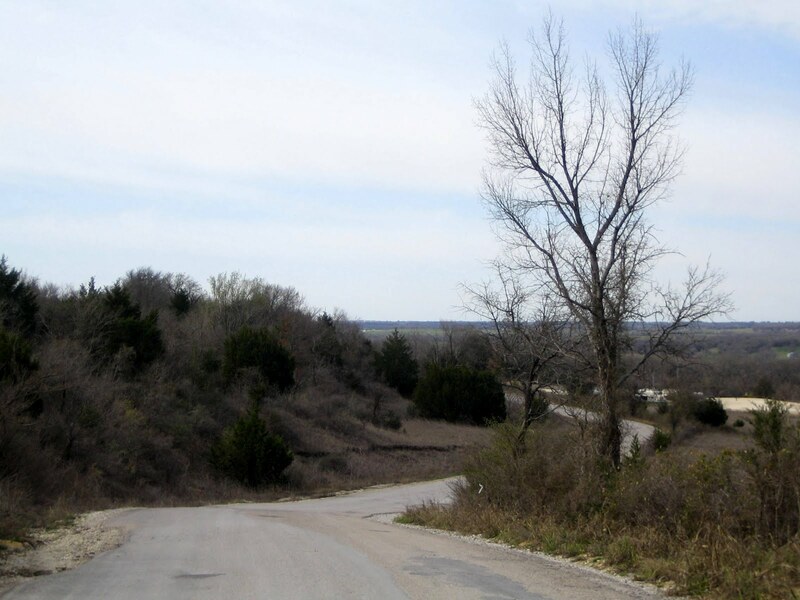 I headed almost directly north through Era to Muenster. Then took a sweeping west to south to east route through Rosston and the Ramble route back home. The first couple of hours into the wind were a bit of work. But when I was able to turn south, I made good time down to Rosston. 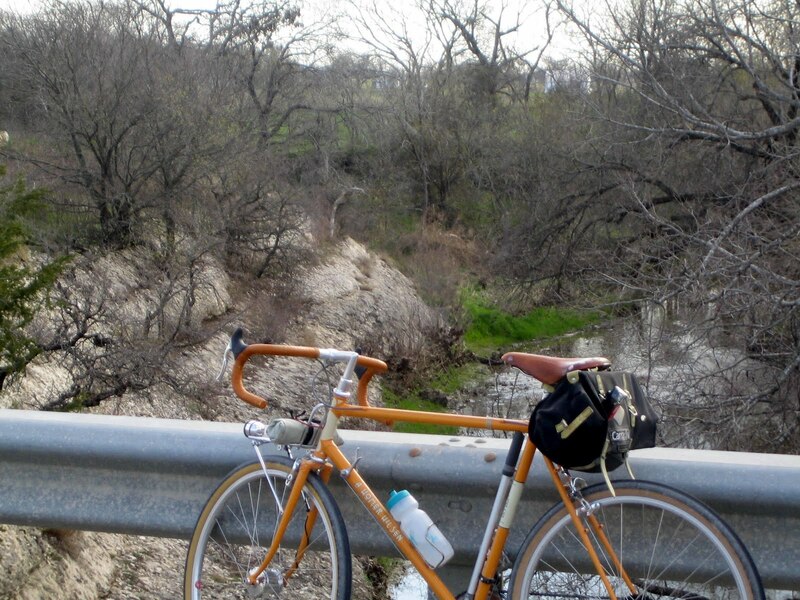 Tailwinds and sweeping downhills make for delightful riding. 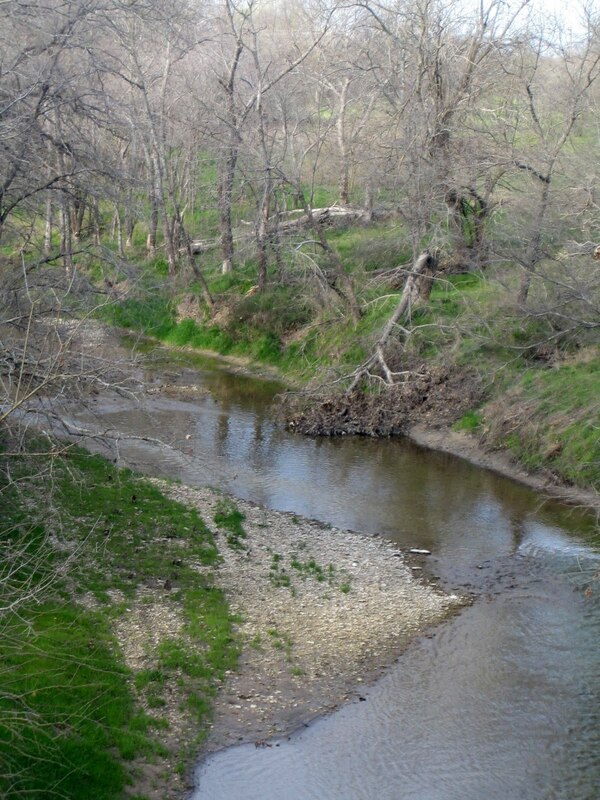 It was great to see the creeks with water again. After such a dry summer, we’ve had plenty of moisture through the fall and “winter”. I could have taken many more lovely creek photos, and probably should have. There are some places that are high enough to see far away places. 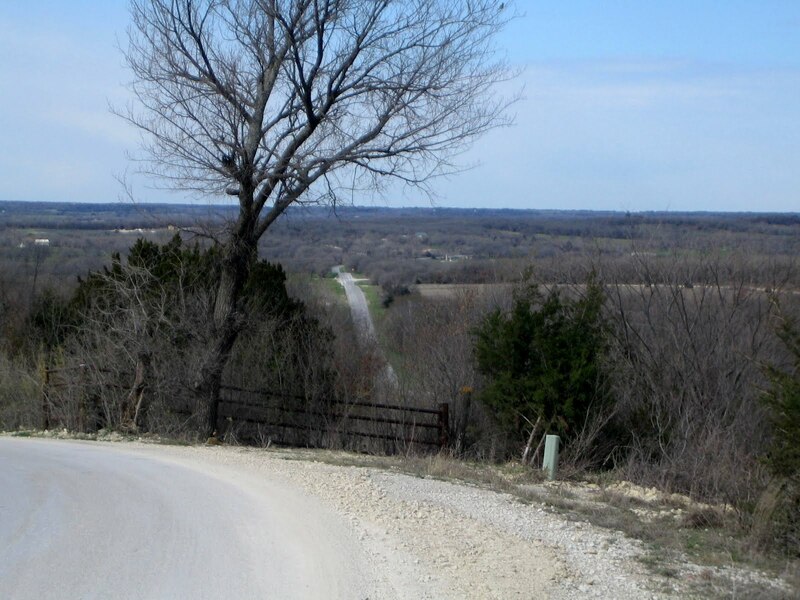 The view above was a little south and west of Muenster, but there were several vistas between that point and Rosston. I almost took the Quickbeam today. That would not have been the smart choice. There were multiple times during the outing I was thinking how fortunate I was to have coasting and gears. Hi, Chris.Do you ever ride south and west of Sanger? I was just looking up this loop on the map (waypoints, at least) and I saw some names that caught my eye: Ponder seems like a natural destination for you, based only on it's name; my hometown in northern Alberta is called Fairview (my ancestors walked up there from around Crosby, Texas), and my last name is Rombs but people often try to fit an 'h' in there so Rhome struck a chord. Yes, I've been down to Ponder, Rhome, and Decatur. As the seasons change, and the winds are consistently from the south, I'll probably head down that way more often.It is a powerfully long walk from Crosby, Texas to Alberta. Hi- We have totally different riding styles. I'm basically a hack with some athletic instincts. I do understand the idea of laying the goundwork though. Good job! I like what you see too. 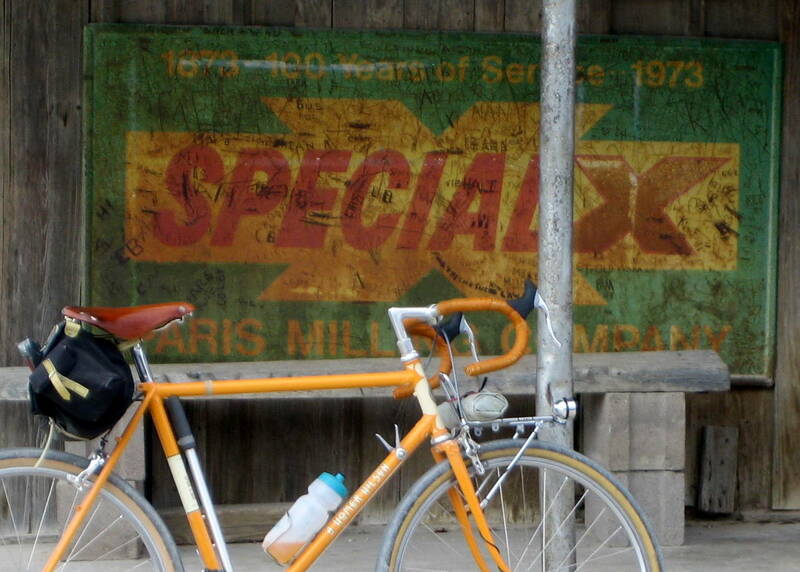 I particularly like the special x sign and general store shots. The view looking up the to the crest of the gravel is cool. I know what you mean about creeks, rivers and streams.They're intoxicating. Great post. Congrats on getting that first longer ride under your belt. I know what you mean by wind and hills; we have both in abundance where I live. Nice to see water in the creeks after such a dry spell. I need to get out for another significant ride. Since the windy 100k I did a few weeks ago, I have lacked inspiration. I think this post might have provided enough to get me out, again.Thanks! I'm glad I had the chance to drive through your country last week. I have a new appreciation for the big Texas sky and big Texas wind.The countryside around your house is spectacular with all of the rolling hills. Wise choice leaving the Quickbeam at home for a long, early-season ride. Looking at it again, I still think your AHH set-up is one of my favorite RBW presentations. I think it's the orange and the clean, functional accessories. 'course, now you have 2 orange RBWs.